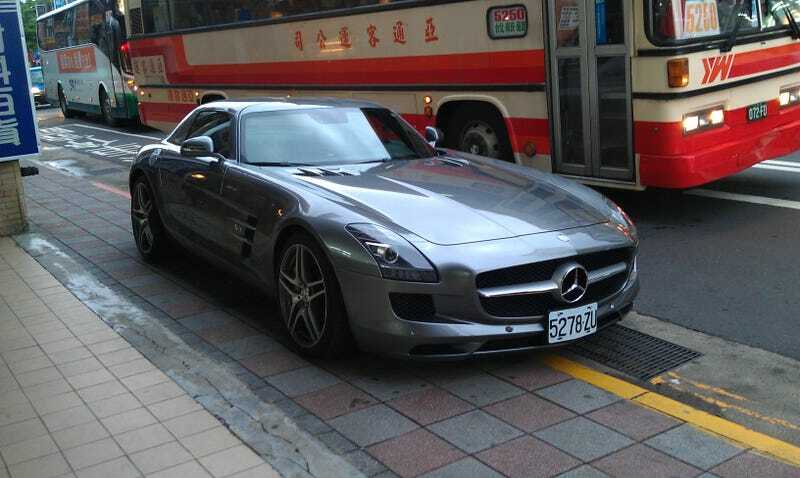 Merc SLS parked on a Taipei sidewalk. Like a boss, no @#$%s given, etc. Reverse angle pic included in post.